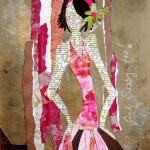 Julie Nutting is a collage artist currently living in Fontana. 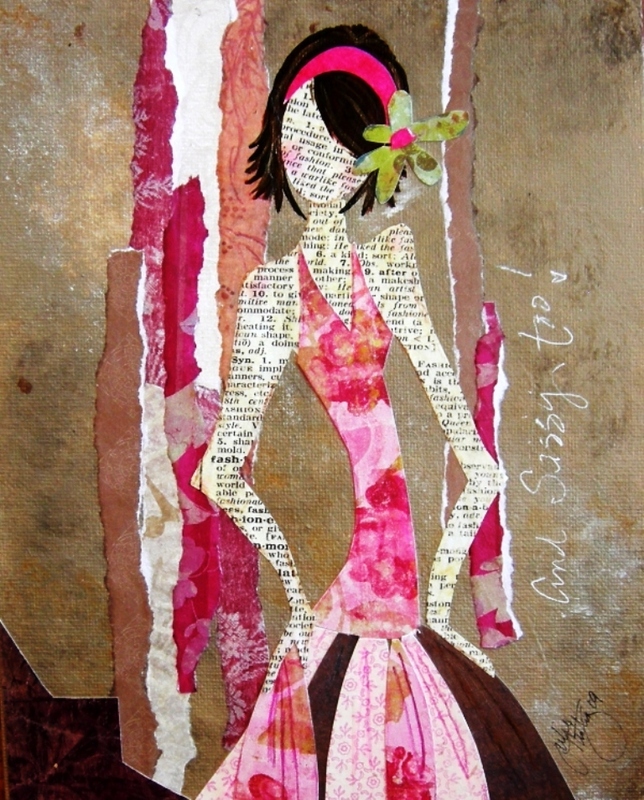 Her fashion illustrations are whimsically collaged using newspaper, old maps, love letters, handmade paper, and colorful scrapbook papers. Her work has been published in Somerset Studio, Somerset Studio Gallery, Art Quilting Studio magazines as well as Marie, a magazine devoted solely to Marie Antoinette art. She is writing a book for Northlight Books due to be out in the spring of 2011. Her art has been exhibited at The Koehler Gallery as well as The SOHO Gallery in Pomona CA. Her art is sold at The Local Collection in The Glendale Galleria. William Coxon is a member of The Fontana Association, Pomona Valley Art Association and Riverside Art Museum. His work can often be found in one of the many galleries in the Inland Empire. Having studied art at a local community college, William found art to be a great way to express himself. Classes are run through the City of Fontana and run from 5 – 6 weeks. Please call 909-349-6975 or click here to register. All material fees are due on the first day of class. In this unique personalized approach, the class will teach basics in pinch pot, glazing and familiarize participants with form. Classes are held Tues, 3:30-5:30 pm, 5:00-7:00 pm and Fri, 1:00-3:00 pm and 3:30-5:30 pm. The duration of this class is 5 – 6 weeks and costs $40.00 with a $20.00 material fee. In this class, participants will learn basic fundamentals of the ceramic wheel, glazing and the turning process. The class is on Thursday from 4:30-6:30pm. The fee is $40.00 with a $20.00 material fee. The duration of this class is 5 weeks. In this introductory class, students will explore the world of acrylic paints. They will learn the fundamentals of brush technique, design concepts and subject matter. Classes are held on Sat, 10:00-12:00 am and 1:00-3:00pm. The fee is $60.00 with a $20.00 material fee. Starting March 16th, every Wednesday from 1:30 – 3:30pm, stop by and paint a plate or mug for just $10.00. All materials will be supplied. No registration required. Just show up! Your piece will then be fired and ready to pick up the following week. Contact julie@julienuttingdesigns.com or 909-823-6036. Learn basic collage techniques with layering paint papers, ink and more. These are 3-4 hour, one day workshops. Please email for schedules and prices.